Today's customers only buy from those they trust. Tom's Sales Training is based on three principles of establishing trust in Communications, Sales and Life. Applying these principles transforms your sales team and sales process from manipulative and self-serving, to customer focused and worthy of trust and customers' attention. Tom offers programs in Principle Based Relationship Sales, Foundations of Effective Management, Positive Guest Experience, and Hiring for Success, as well as customized programs designed around specific needs and budgets. Tom's track record of proven results over decades of training and management can be seen in the comments and testimonials from the very top of resort management, across a broad range of sales teams from the largest multi-site corporations to smaller, individual site projects. 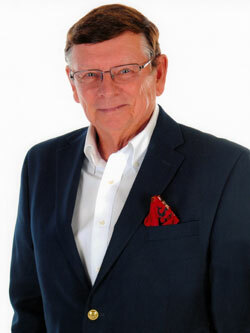 "I have known and worked with Tom Goetschius on numerous projects over many years and consider Tom not only a true professional but also a person with unique skills to understand a sales and marketing situation and the ability to assist in training and motivating an entire marketing and sales team. I would highly recommend him." Here you will find my Principle Based Training Programs in Relationship Sales, Effective Management, Hiring using Management Research Associates assessment tools, and my Disney-based "The Guest Experience". These programs are effective and build trust between you, your employees, and your sales guests with results to your bottom line. The Relationship Sales Training is based on Universal Principles found in Communications, Sales and Life. Applying these principles to your sales process will enhance your sales as it has for our numerous clients. Explore the site for information about how Principle Based Relationship Sales can work for you. Call me at (407)342-0178 to learn more.